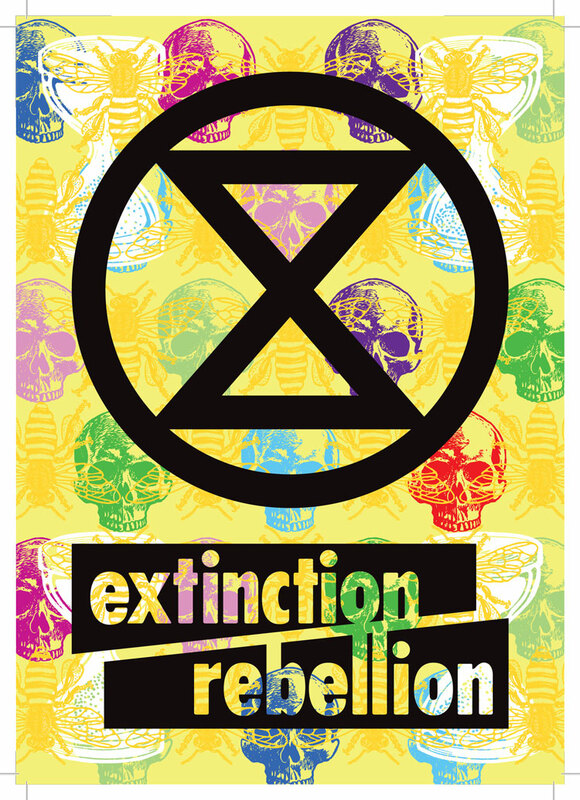 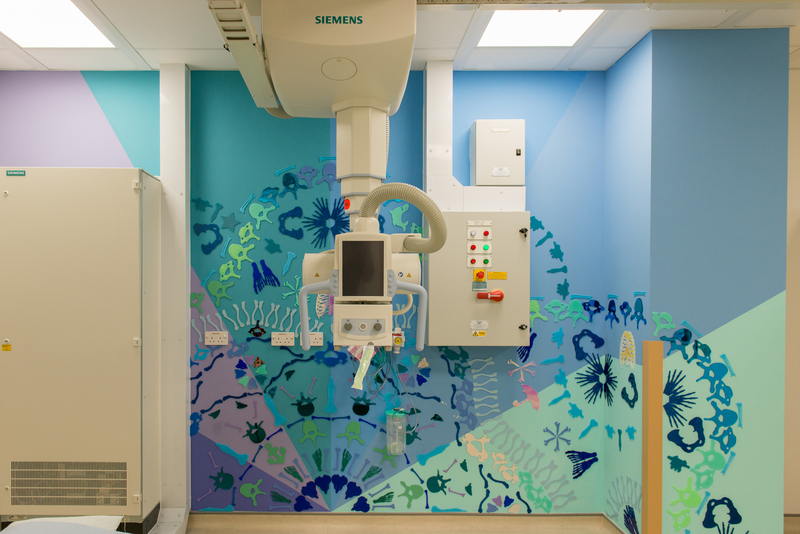 The entire Children’s Imaging department has been overhauled with wall installations by Tatty Devine that have been created along the theme of x-rays and bones. 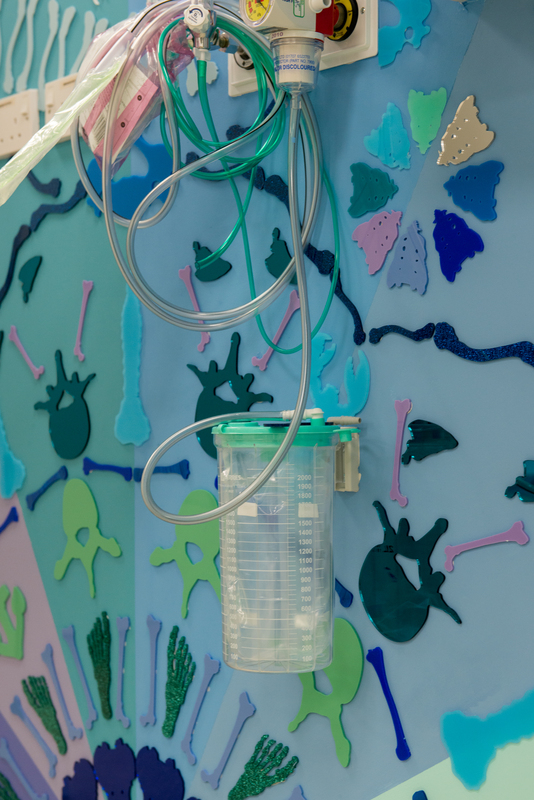 Jewellery designer Tatty Devine has designed a series of site specific installations at The Royal London Hospital’s new building. 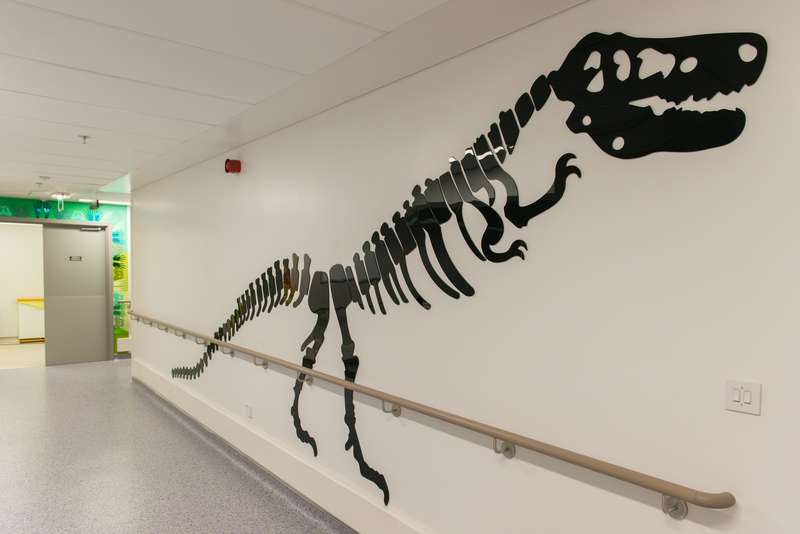 Vital Arts, the arts organisation for Barts Health NHS Trust has commissioned the works, which are entitled All That Glitters May Be Bones and now cover the children’s imaging department. 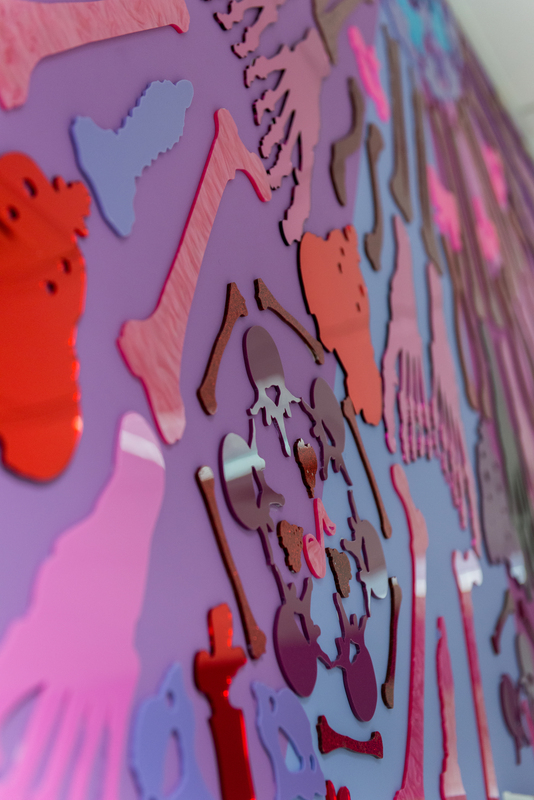 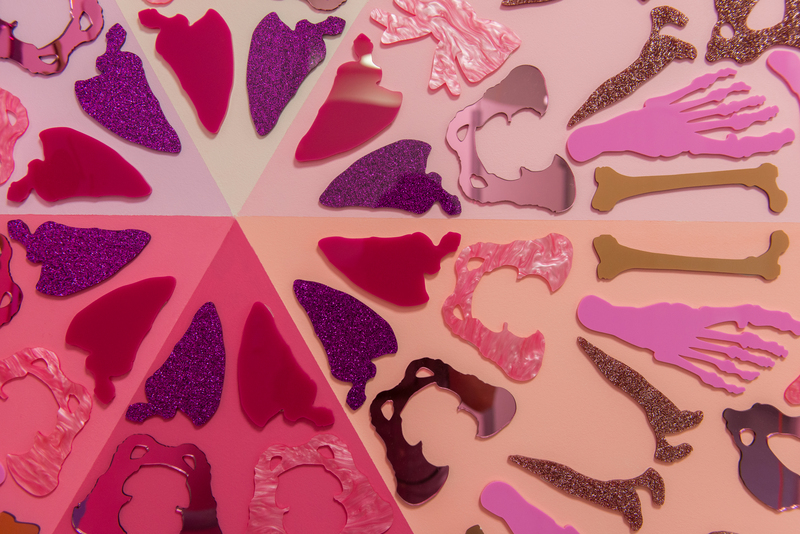 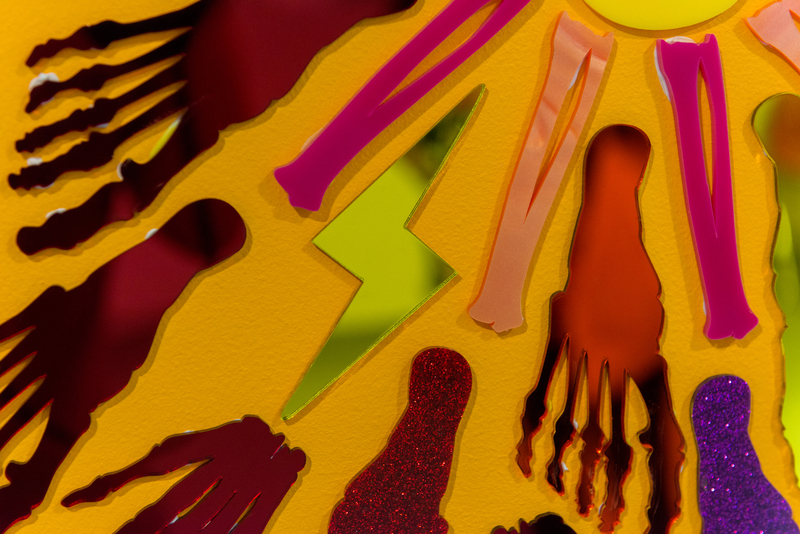 Tatty Devine, which is known for its laser cut acrylic jewellery, has created thousands of bright acrylic pieces along the theme of x-rays and bones. 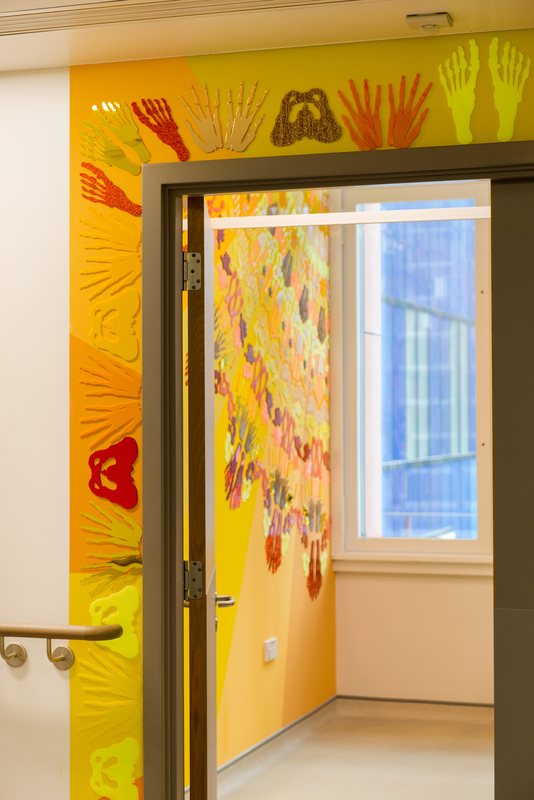 Waiting areas, corridors and treatment rooms have all been redesigned so that they’re less frightening and more engaging for children according to Vital Arts. 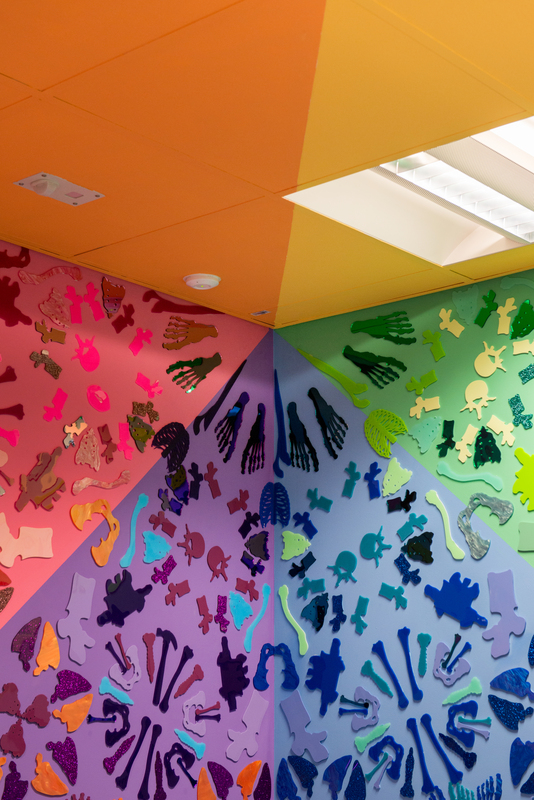 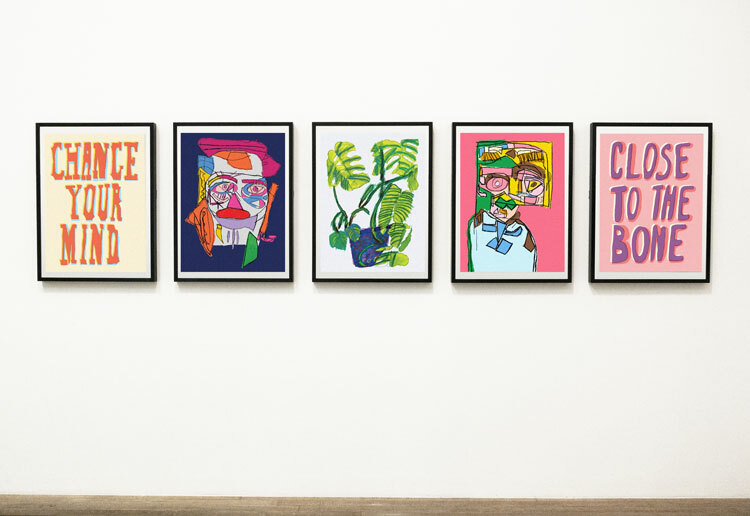 Tatty Devine partner Rosie Wolfenden says the installations: “Will help make hospital visits a better experience for children, especially those within our local community. 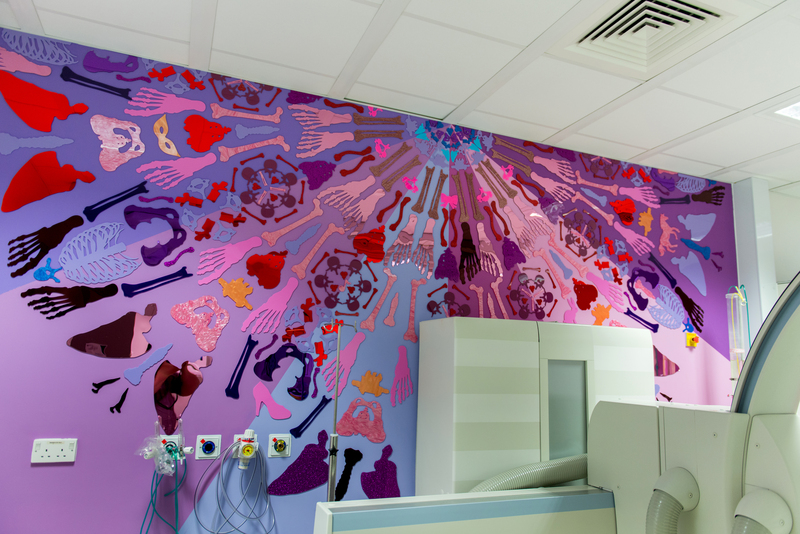 Barts Health lead paediatric radiographer at NHS Trust Martin Shute says: “Working closely with Vital Arts and Tatty Devine at the beginning of the project meant that the artists understood exactly how all the spaces within the imaging department are used, and the specificity of our patient demographics. 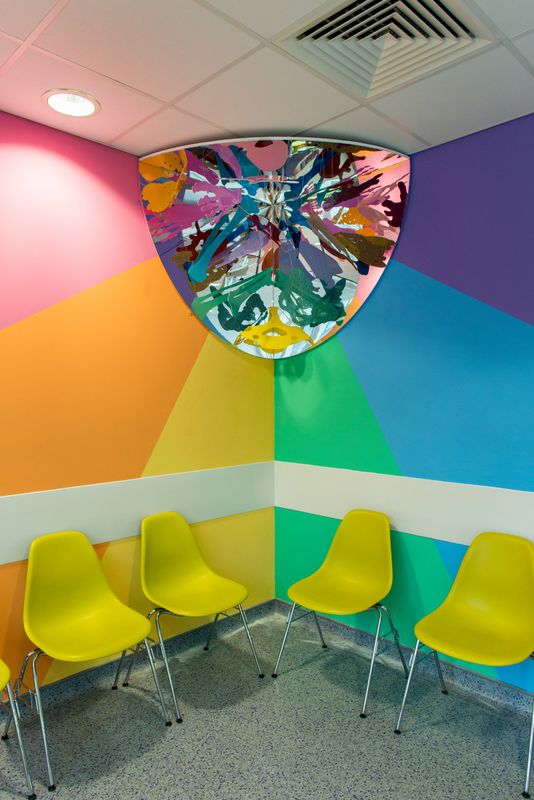 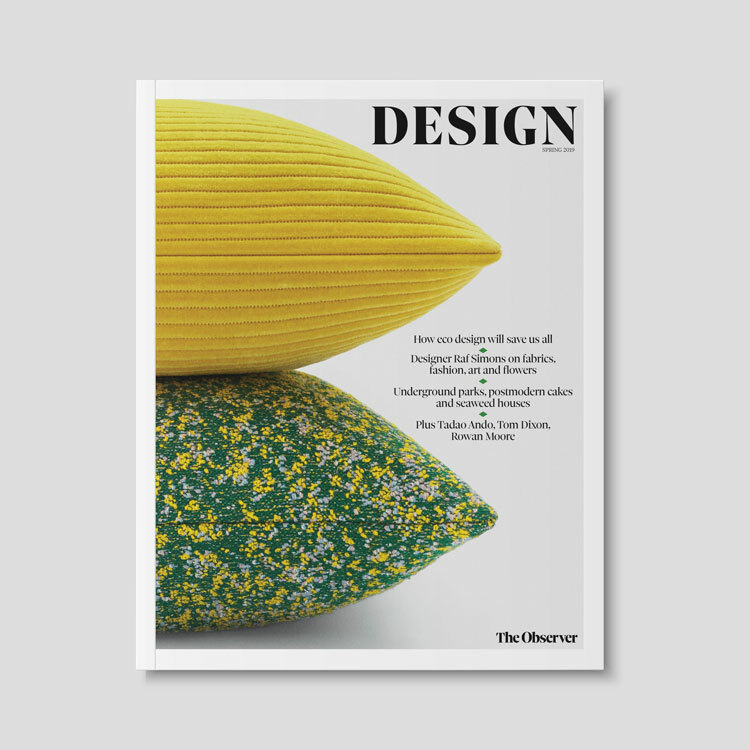 “The variety of colour serves to distinguish separate areas, including a soothing pink area for breastfeeding mothers, and an Autumnal palette for the adolescent waiting room, which, again, is different from the softer hues in the waiting area for our youngest patients”. 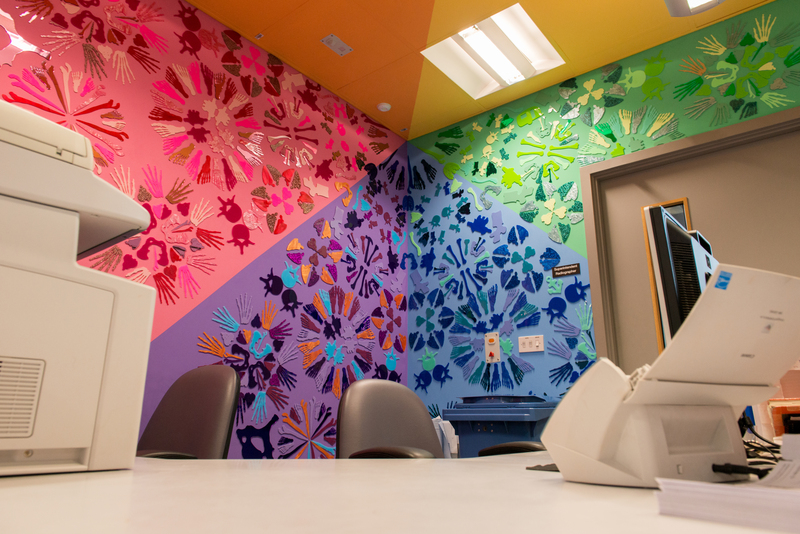 Royal London has worked with many artists and designers in recent years including Morag Myerscough, Tord Boontje and Chris Haughton.